Sean 'Diddy' Combs is focusing on his "mind, spirit and body" in the New Year. The 46-year-old music mogul and entrepreneur is famous for his lavish lifestyle, flamboyant taste and his annual White Party, which has become a star-studded bash equalling the post-Oscars festivities and the Met Ball, but in 2016 his passion for having fun will come in second to other more personal pursuits. "I would say that my number one focus is mind, spirit and body - making sure that I’m just as passionate about my mind, spirit and my body as I am about one of my records or one of my companies," he explained to USA Today about his New Year's resolution. Diddy is looking to accomplish this holistic balance by eating right, chilling out more frequently and tuning into himself. Diddy will ring in the New Year with rapper Pitbull at the New Year's Revolution event, which takes place in Miami, Florida. Following the concert, he is also due to attend an extremely high-profile private after party, which is sponsored by his premium vodka brand CÎROC. 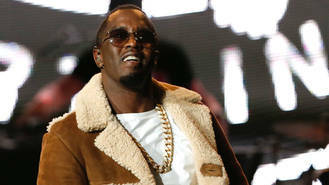 Although his intention is to be well and centred throughout the whole of 2016, Diddy may be partying away all the strife he experienced in 2015 during New Year's Eve. The hip hop star was arrested in June (15) after confronting his son Justin's strength and conditioning coach, Sal Alosi, during a University of California in Los Angeles (UCLA) Bruins practice. Although no charges were brought against him, the legal headache went on for several months before it was resolved. The Strokes have confirmed that they are back in the studio together, working on new material. Ariana Grande Teams Up With Opera Superstar Andrea Bocelli. Ed Sheeran says his next album will be even better than 'X'. Azealia Banks has told the LGBT community to "toughen up". Coldplay unveiled a new song at the Global Citizen Festival on Saturday (09.26.15). Taylor Swift has been joined by Sir Mick Jagger during the latest leg of her 1989 world tour. Singer James Bay has been forced to cancel his performance at the Apple Music Festival tonight. Chris Brown is to be denied a visa to enter Australia stemming from his assault on Rihanna. Ben Haenow has duetted with Kelly Clarkson on his new single. Naughty Boy is helping Janet Jackson with her pop comeback. The “Happy Birthday” song is finally free to use after a landmark court ruling in the US that concluded it should be “dedicated to public use and in the public domain”. Harry Styles was "distracted" keeping an eye on his sister's date at the Apple Music Festival. Take That are recording new music. Destiny's Child are reportedly making a comeback. The Who have been forced to postpone all 50 dates on their North American tour because frontman Roger Daltrey has viral meningitis. Rolling Stones guitarist Keith Richards has revealed he is evolving and it is “so far, so good”, as he unveiled a documentary about recording his first solo album in 23 years. Rihanna has said she doesn’t ever see herself performing with Taylor Swift, because they just “don’t match”. Cyndi Lauper is going to release a country album next year. Rita Ora is "very proud" of her success. Ellie Goulding is dropping a new single called ‘On My Mind’ later this week, and put out a 15-second teaser for it on Twitter yesterday. Ant & Dec have confirmed they are hosting next year's BRIT Awards. Taylor Swift has been nominated for an incredible nine prizes at the MTV Europe Music Awards 2015. Amy WinehouseAmy Winehouse's best friend wants people to remember the singer for her talent rather than her death. The Weeknd, The Chemical Brothers, Leon Bridges, James Bay and Take That have been added to the line-up for the Apple Music Festival in London. Stereophonics expected Stuart Cable to rejoin the band. Motorhead had to cancel their planned concert in San Antonio, Texas, on Wednesday (02.09.15) as frontman Lemmy is still suffering from altitude sickness. Tom DeLonge wants a Blink-182 reunion. Just days after finally putting her clumsy feud with Nicki Minaj to bed once and for all, Taylor Swift has landed herself in another controversy. Prince thinks it is a "bad time for music". The 57-year-old musician has admitted he is not impressed with the current crop of pop stars as their music is not exciting enough. Sam Smith wants his albums to feel like a series of ''romantic novels''. Rudimental could make a "reggae offshoot album". Dappy has three new N-Dubz albums ready to release when the band reforms to make them bigger than the "Black Eyed Peas". David Bowie is to write songs for the 'SpongeBob SquarePants' musical. Gary Barlow surprised a fan by performing on her wedding day.